Need Search Engine Optimization? Santa Rosa SEO Company Performs. Want people to find your business on the Internet? Looking for greater visibility and more new customers from your website? As you probably know, merely putting up a site today doesn’t guarantee that people will find it. Our Search Engine Optimization (SEO) and content marketing services can help. This page explains what we do and how. In addition, if you want to learn about SEO, be sure to read our Santa Rosa SEO Guide at this link. Even if you don’t use our services, it’s important that you know enough about SEO to hire the right SEO firm to help you achieve your goals. 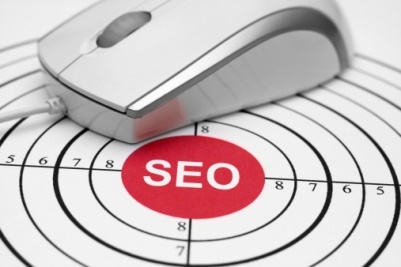 Search Engine Optimization, or SEO, has become a complex subject today. The ever-changing nature of search as well as continuing changes in how Google and other search engines process search makes it hard for business owners to wrap their minds around it. When looking for an SEO company, you’ll find a lot of providers selling search engine optimization services of various kinds at widely varying prices. You’ll also find a lot of approaches–some ethical, some not–as well as firms that make promises they can’t keep. As a Santa Rosa SEO company, we help business owners with ethical, proven strategies and tactics to get found on Google, Bing and Yahoo. Some of this is included in our services as we design or maintain your website (on-site SEO), while other work we undertake creates links to your site (off-site SEO). For a better understanding of SEO, read our Guide to Search Engine Optimization (SEO) for local business owners. No two businesses are exactly like. They differ by location, offering, customers served, pricing, marketing objectives, competition, etc. These unique differences impact the strategy they might use to attract search traffic. That’s why we customize our services to your business, what you’re trying to accomplish and your available resources. Some clients want all the work done for them, while others have the time and interest to take on some of the work themselves. So, let’s talk, and we’ll explore your situation together. Then we will provide a proposal designed to meet your goals. One word of caution… like any advertising, SEO is not an exact science, and results can vary widely depending on a range of factors. Best practices usually involve a lot of small steps that, when combined, improve your chances of a page 1 search position. But, we can’t guarantee specific results (in most cases) any more than a baseball player guarantees he or she will get a hit when stepping to the plate. However, we CAN promise to follow best practices in search engine optimization. And, over time, the right level of investment using those efforts usually produce the desired result. Over the years, people have tried various schemes to “game” search engines: keyword stuffing, link farming and various other “black hat” (think bad guy!) tactics. 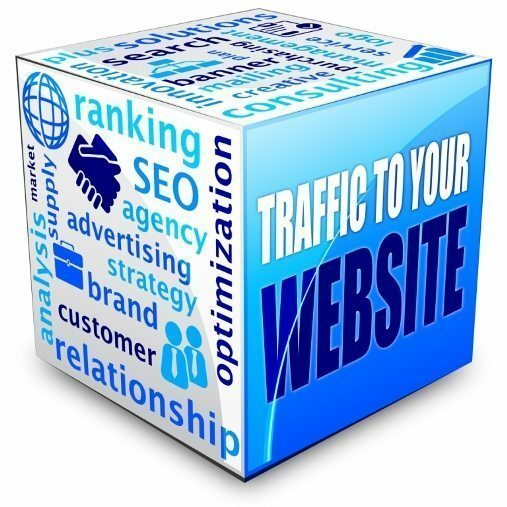 Typically these have worked for a while, giving the website a temporary advantage in attracting search traffic. However, Google has continued to refine its algorithms–formulas for determining which web pages get displayed for a given search. With each revision, it has succeeded in suppressing more of the black hat pages as it worked to make search results more relevant for its customers–people searching. Today, search is becoming more rigorously weighted toward legitimate pages with content that searchers want to read. The best way to make search engines happy is with well-developed, content-rich websites that provide good informational value to the searcher. So, as an SEO company, our approach to successful content marketing starts with creating relevant website content. Every time a link is created on the Internet that points back to a page on your website, this “backlink” affects your search standing. 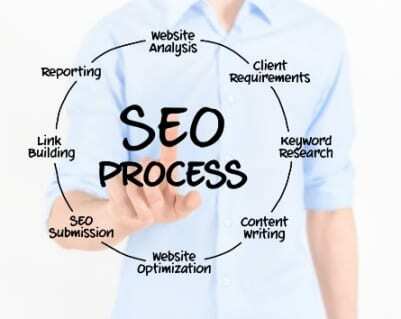 These off-site SEO tactics create backlinks that result from content sharing (posting on social media), blogging, video marketing, publishing articles and press releases, directory advertising, etc. And, while it does not impact organic (unpaid) search, we can also help clients determine if paid advertising, such as banners, directories or pay-per-click advertising, might be appropriate ways to generate website traffic for your business. “Thanks to Tim’s strategy and tactical recommendations, we made vast improvements in our online marketing. Leads went from 10 weekly to 10 per day. Lead quality was noticeably higher. Cost per conversion reduced by 68%. “Tim Smith just completed our website and we couldn’t love it more. We had great expectations when we envisioned our site but had a hard time explaining to other companies just what we wanted. Tim took the time to sit down with us and go over all the fine details, down to the exact colors we wanted, which I felt was above and beyond. We had trouble with the SEO aspects of our first site, and had a hard time finding the right balance of key words and readablitity in site content, Tim really found a happy medium there. “I own and operate a chiropractic office in Oregon. My original website did not provide much traffic into our office and certainly did not put us on the first page of Google. We hired New Paradigm to create a website that would give us a powerful presence in our community and to others at a distance. I was excited when I browsed other sites he had created. With our new site, we are now at the top of Google for chiropractors in our area. We have a fourfold increase of new patients, and about half are coming from the Internet and our site. Patients remark how beautiful and informative our site is. We are thrilled with this addition to our marketing and are confident it will continue to keep us alive in cyberspace.